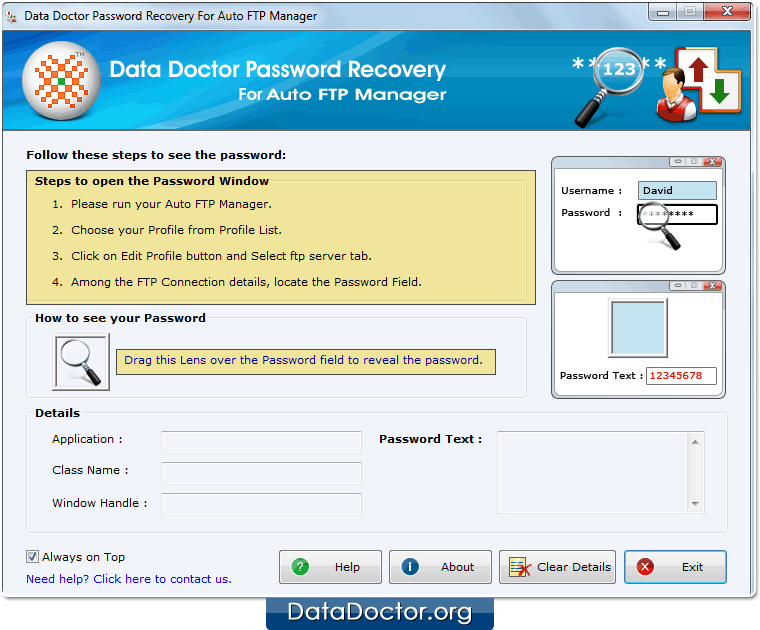 Password Recovery For Auto FTP empowers you to get back your lost or forgotten password easily from Auto FTP Software. Simple to operate Auto FTP Password recovery tool works with all major Windows operating systems. Install and Run Password Recovery Software For Auto FTP Manager. Choose your Profile from Profile List then Go to 'Edit Profile' option. 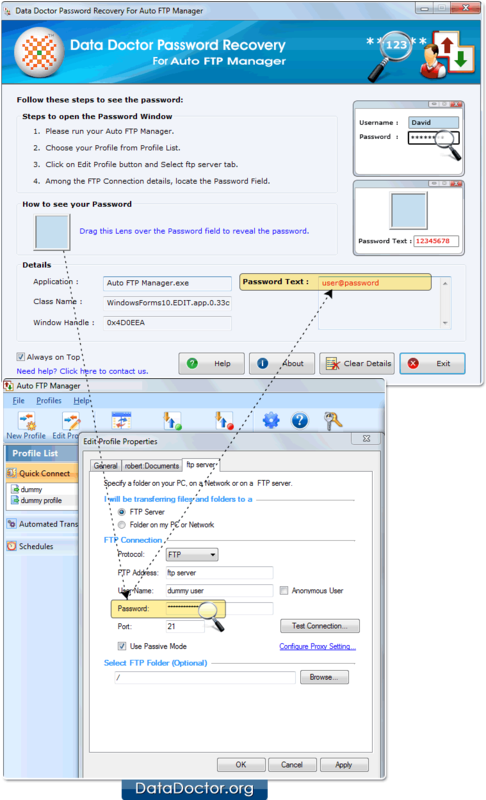 Select ftp server tab, to view FTP Connection details. Locate the password field by dragging lens over it. You can see recovered password in the Password Text Field.